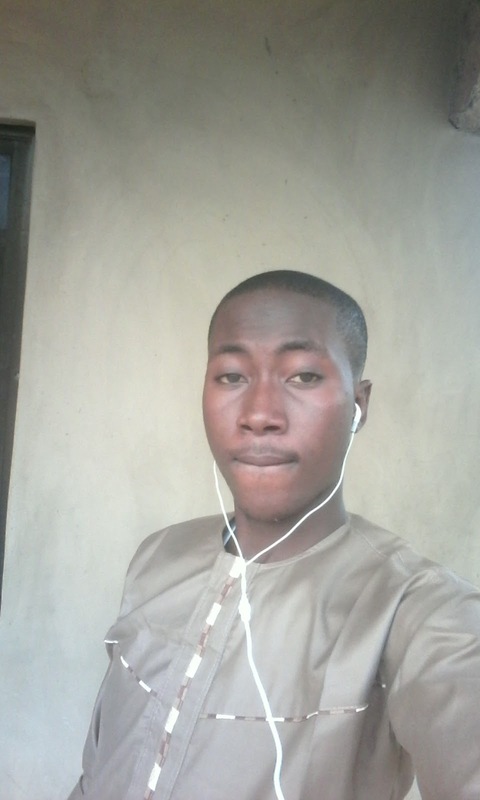 How dissapointing it is for some unkwown elements to sabotage the efforts of the newly-launched Pay TV,Telcom Satelite TV (TSTV) from gaining grounds in Nigeria. We are all waiting for the TStv decoder to be available for dispatch to various dealers, but enemies of progress wants them dead on arrival. Some individuals went to compose a letter on-behalf of beIN - a global sports and entertainment group,to TStv for intellectual property infringement and content piracy. The letter (below) has been circulating online, and the management of TSTV was swift to respond. I am writing on behalf of beIN - a global sports and entertainment group,headquartered in Qatar. As you would be aware, beIN provides a subscription television service to more than 50 million customers worldwide.beIN's broadcast territories include the middle East & North Africa,France,united States and Canada, South East Asia,Australia & New Zealand. beIN is also the owner of trademark and other rights in the name "beIN" and associated branding ("beIN Trademarks").Other parties are not permitted to use beIN Trademarks without express authorization. 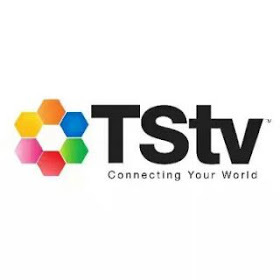 We have become aware that your company TSTV intends to launch a pay television service to subscribers in Nigeria and Sub-Saharan Africa generally.Information about this service is contained on the website at http://tstvafrica.com. 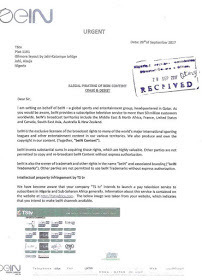 The below image was taken from your website, which indicates that you intend to make BeIN channels available.Seeing how this letter can turn the hearts of potential customers away from TSTV, the Abs Global operated-company was swift to respond. We are not unaware of the messages circulating the social media regarding letters from Bein Sports and Turner respectively. We wish to inform Nigerians once again that the letters being circulated are FAKE. They were designed primarily to bias Nigerians.Kindly disregard the said frivolous letters.TStv Africa…connecting your world! In matters like these, I ought to have a neutral stand, but the letter above doesn't look like it was officially from beIN. Anyways, let's wait till we get our hands on the TSTV decoder, test the channels,sample the data and if anything goes wrong, you can rain fire and brimstone on them.